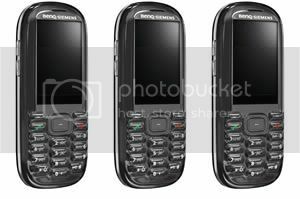 The BenQ-Siemens E71 is an EDGE capable handset featuring a 1.3 megapixel camera with 5x zoom, MP3 Player and Micro-SD card slot. The non-stick coated E71 also includes an FM radio, a battery which can provide up to 400 minutes of playback, SyncStation DSC-100 and a video recorder which can record and play movies in mpeg-4 format. The BenQ E71 is also decked out with a QVGA display providing 262K colours at a resolution of 320 x 240 pixels. The E71 from BenQ-Siemens will be available in “Dark Silver” and “Onyx Black” from September of 2006 in Europe and Latin America, and from November of 2006 in Asia. Price will be determined locally.